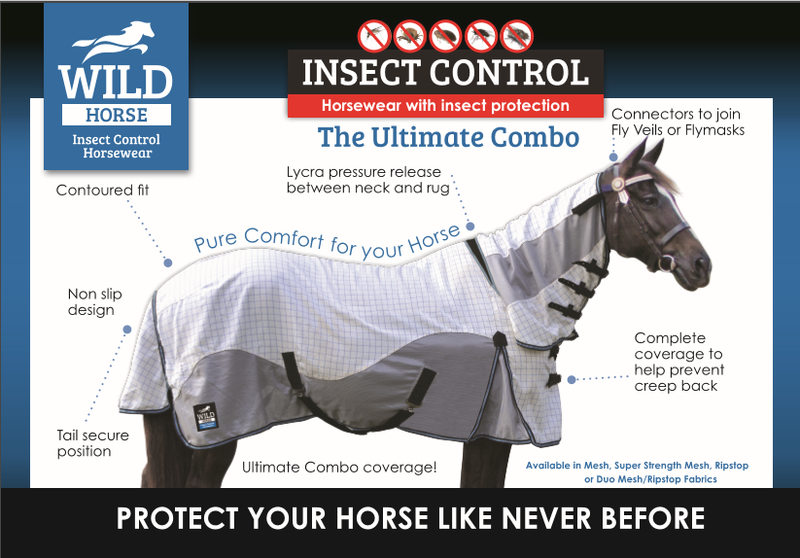 WILD Horse Australia produces a wide range of Insect Control Rug styles, so you can choose the perfect combination for your horse. Lycra Poll pressure release at the wither for ease of movement. Elastic/Velcro attachments under the chin to allow for movement of the jaw. 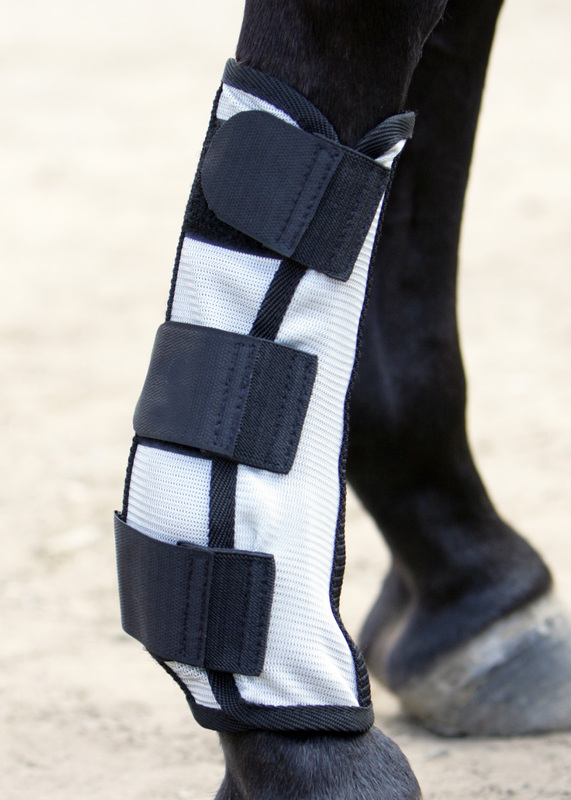 Complete coverage at the chest to help prevent creep back, which leaves exposed buckles against your horse’s skin. Safety elastic on all Poll straps. Quality webbing and heavy duty buckles. Extended chest lining protection to alleviate rubbing. Lining inside the shoulder dart to help prevent lower shoulder irritation. Extra deep and long lined tail skirts, which protect sensitive areas around the dock and top of the tail. Produced for Australian horses and climates. UV stabilisation is used wherever possible, to suit our Australian climate. 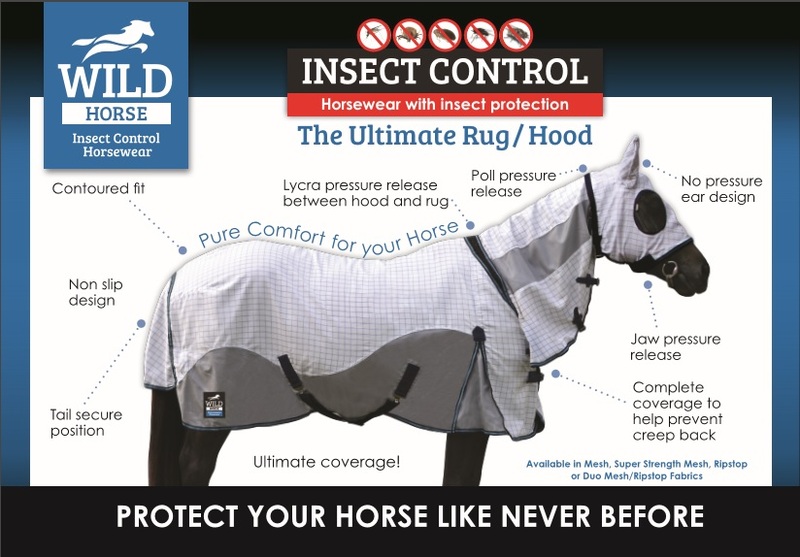 WILD Horse Australia produces a wide range of Insect Control Fly Veil styles, so you can choose the perfect style for your horse. 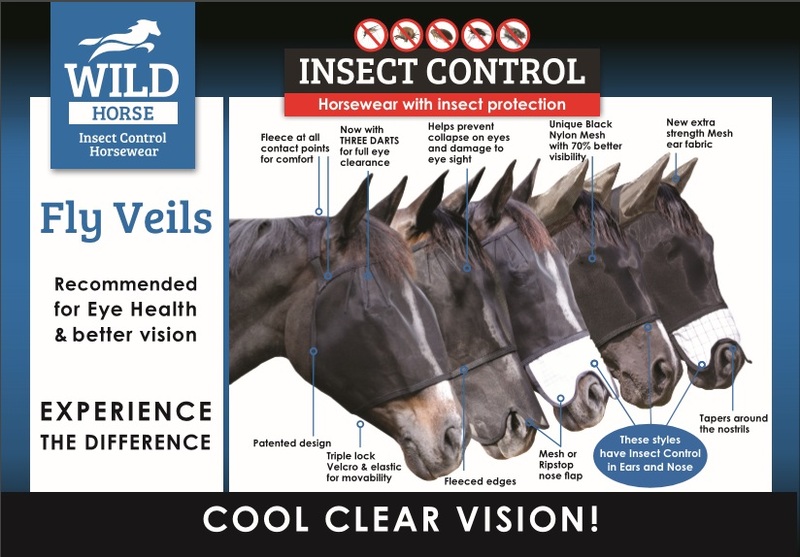 Patented Triple dart Fly Veils for cool clear vision. Recommended by Vets for eye health. Black nylon mesh with 70% better visibility than most other Fly Veils. Elastic under chin to allow for movement and comfort. Fleece edging at all contact points to prevent rubbing. 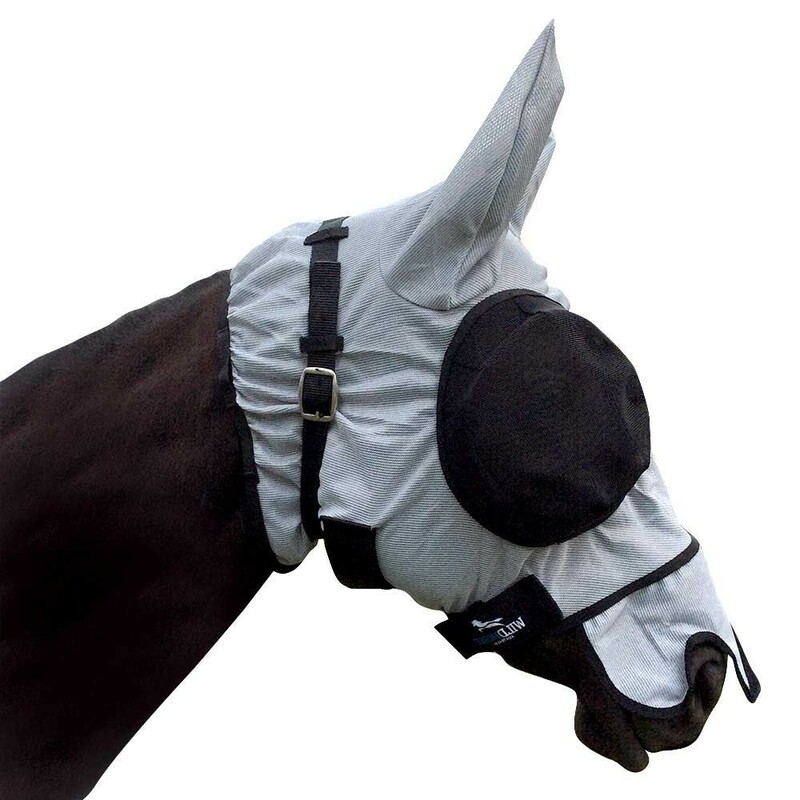 Styles with nose and ear cover have Insect Control embedded in fabric. Also available in original two dart design in some styles. Anti-sip design with added poll strap for security. Nylon eye mesh with 70% better visibility. Nose flap that tapers around the nostril. Connector options to attach to our Combo range for total secure cover. Available in Ripstop or Mesh fabric. Produced with lightweight cool Mesh for summer conditions. Moulded and reinforced rear strips that holds the boot up. Strong Velcro fastenings for a perfect fit. For any Design inquires please contact our head office.